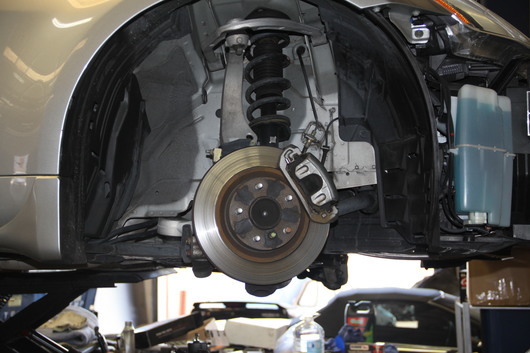 A very good customer of ours has decided that running his Porsche around the track was risking a little too much at times and has chosen to go another route. 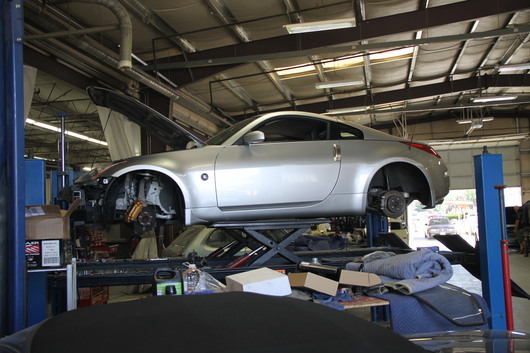 We are helping him put together a spec 350z to run and have fun with. 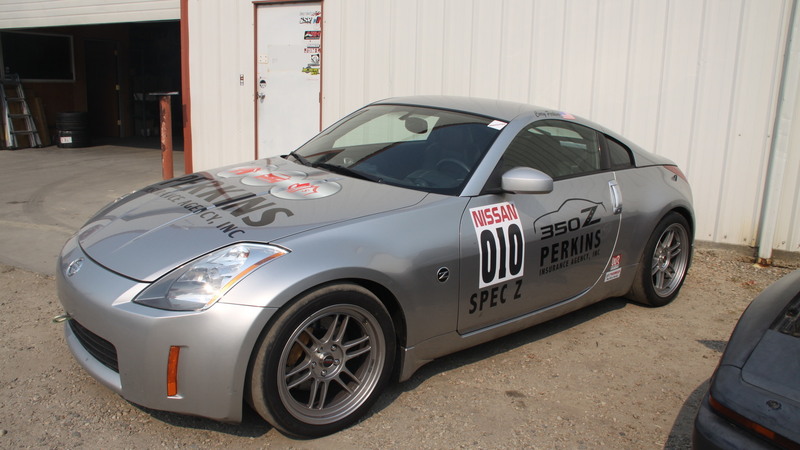 The spec 350z class has become pretty popular and competitive lately and should be quite the drivers challenge as modifications are limited. 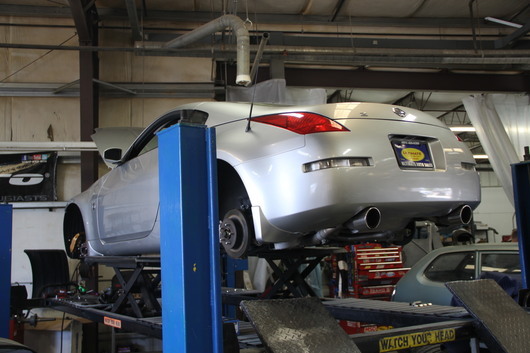 So far we have done a radiator upgrade, oil cooler, A/C delete, a brake upgrade along with some fresh high temperature fluid along with a full fluid and filter change throughout, that should keep the car stopping and going reliably for the first time out. 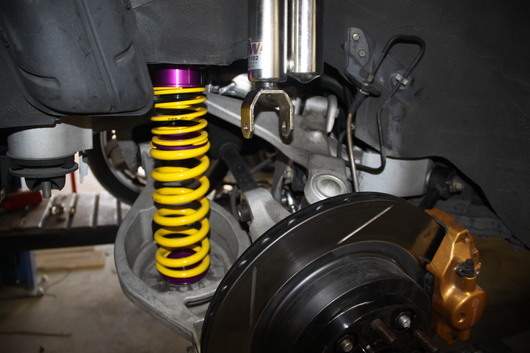 Future upgrades will consist of some suspension, exhaust and intake compliant with all the class rules. 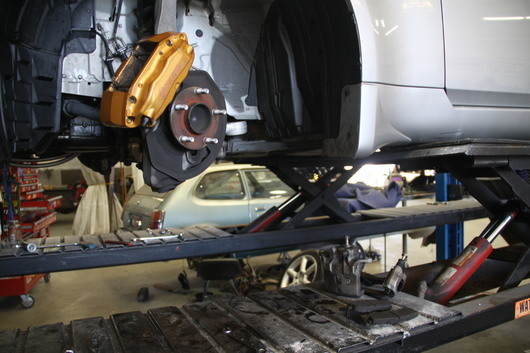 The car is on the rack ready to be upgraded with the new KW Variant 3 Coil-Over setup. 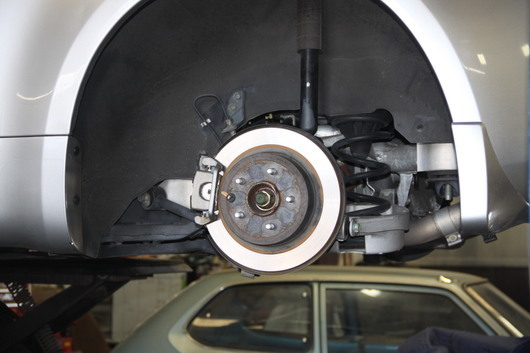 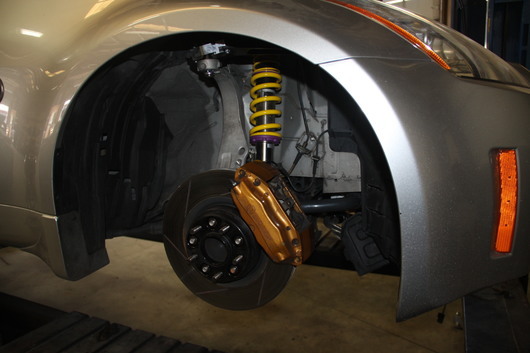 New brake upgrades and soon will be fully adjustable suspension. 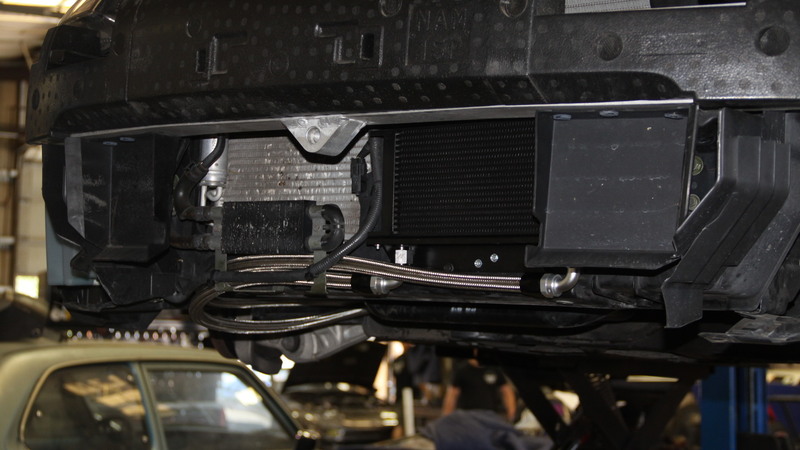 A new oil cooler from Mishimoto has been added to the front of the car. 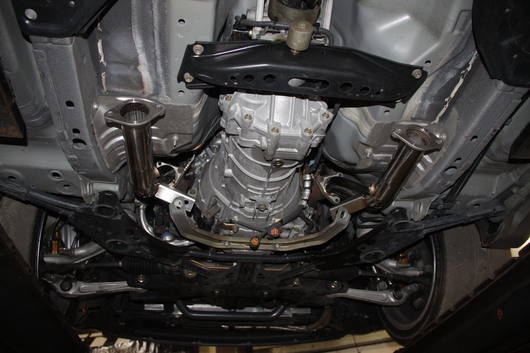 KW Variant 3 Coil over... need I say more? 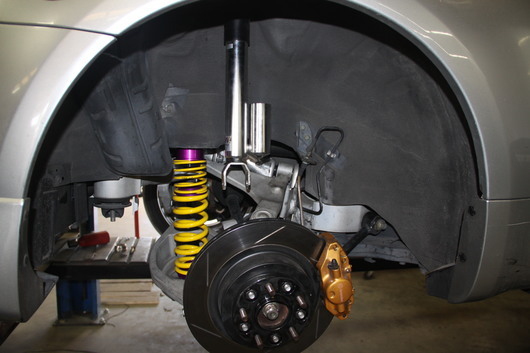 These coil over systems are the best of the best. 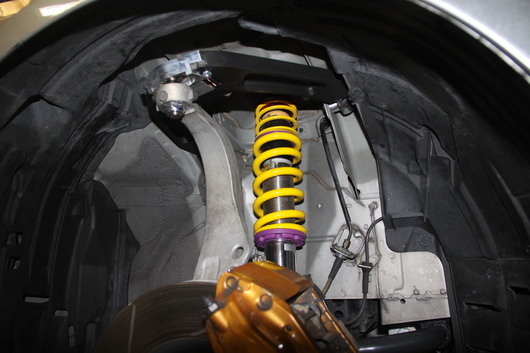 With adjustable ride height and damping, properly valved shocks and a spring rate detailed to match the car, there is a reason why these are the only NASA Spec Z approved coilover. 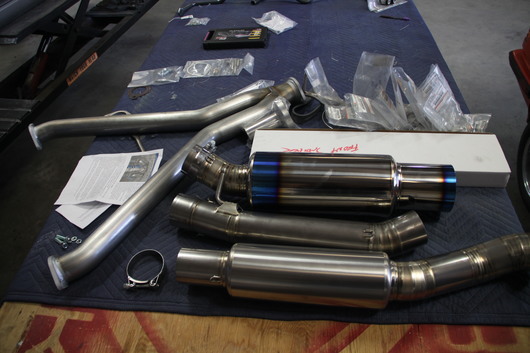 The Tomei Titanium Light Weight Exhaust just arrived so out with the cat and here we go! 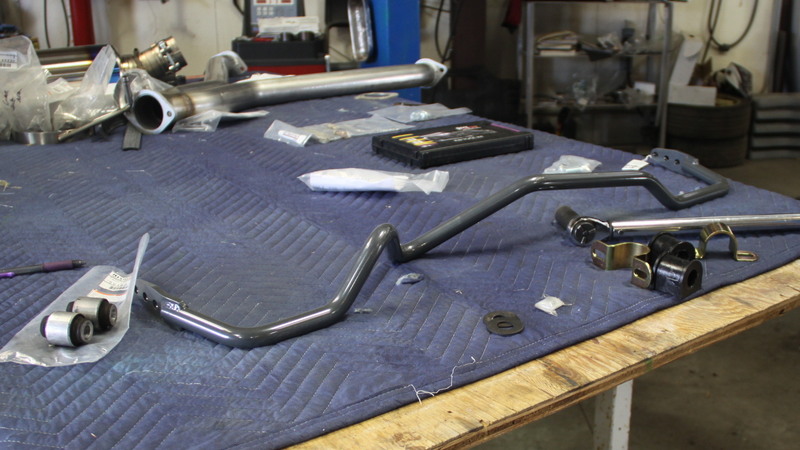 Soon the new sway bar will be installed along with all new Nismo bushings.